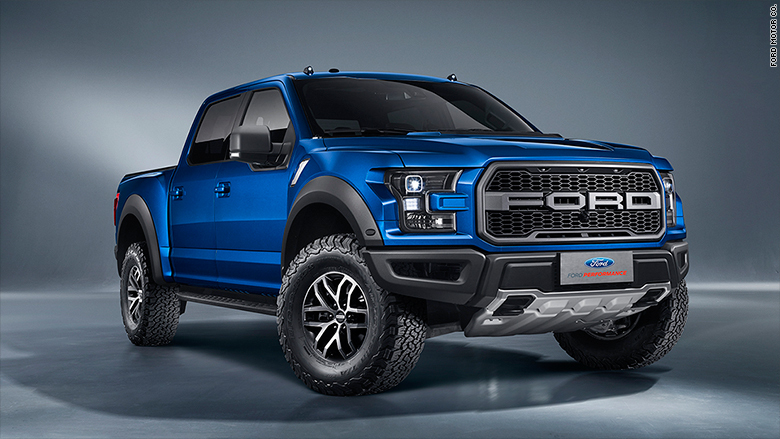 The new Ford F-150 Raptor will go on sale in the U.S. this fall and in China next year. Ford Motor Co. is bringing its high-performance off-roader, the F-150 Raptor, to China. The all-wheel-drive Raptor will have a 10-speed automatic transmission that was developed jointly by Ford (F) and General Motors (GM). It will have various "driving modes" -- including high- and low-speed off-road, high-performance street-driving, and "normal" for everyday use. The small lights on the roof of the Chinese-market Raptor are required by regulators there. 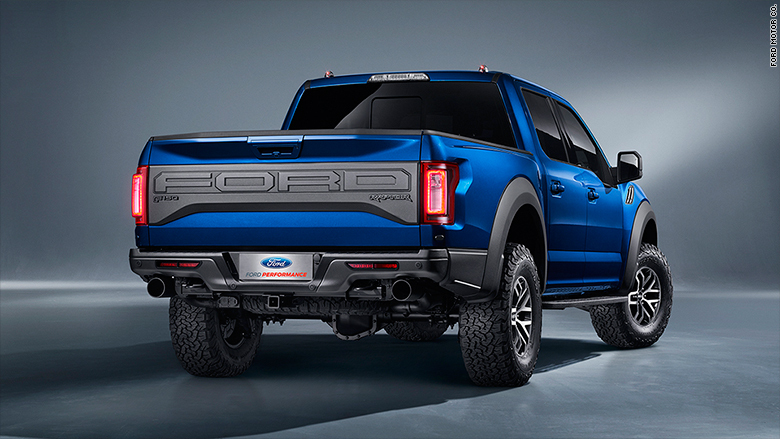 The 2017 Raptor is based on Ford's new aluminum-bodied F-150 that first went on sale in 2015. A previous version of the Raptor, based on the steel-bodied last-generation truck, had a 411-horsepower V8 engine and a six-speed transmission. That version went out of production when the new F-150 came out. The new Raptor will have some slight changes for the Chinese market, including roof lights that are required by Chinese regulators on larger vehicles. The trucks will be built in Ford's Dearborn Truck Plant near the company's headquarters outside of Detroit. China places very high taxes and fees on imported motor vehicles, so a U.S.-made Raptor could be expected to cost much more in China than it will in the United States. Prices for the last-generation Raptor started at just under $50,000 in the U.S. The Raptor is expected to appeal to image-conscious Chinese customers looking for something that will really, really stand out in traffic, said Joe Hinrichs, Ford's president of the Americas. There is some familiarity with the Raptor there, he said. "The Chinese have access, through the Internet, to knowledge of what's sold around the world," he said. The new Raptor will be available in the United States this fall.